The concept of “group” has been introduced in mathematics for the first time by E. Galois (1830) and slowly passed from algebra to geometry with the work of S. Lie on Lie groups (1880) and Lie pseudogroups (1890) of transformations. The concept of a finite length differential sequence, now called the Janet sequence, had been described for the first time by M. Janet (1920). Then, the work of D. C. Spencer (1970) has been the first attempt to use the formal theory of systems of partial differential equations (PDE) in order to study the formal theory of Lie pseudogroups. However, the linear and nonlinear Spencer sequences for Lie pseudogroups, though never used in physics, largely supersede the ”Cartan structure equations ” (1905) and are quite different from the ”Vessiot structure equations ” (1903), introduced for the same purpose but never acknowledged by E. Cartan or successors. Meanwhile, mixing differential geometry with homological algebra, M. Kashiwara (1970) created “algebraic analysis” in order to study differential modules and double duality. By chance, unexpected arguments have been introduced by the brothers E. and F. Cosserat (1909) in order to revisit elasticity and by H. Weyl (1918) in order to revisit electromagnetism through a unique differential sequence only depending on the structure of the conformal group of space-time. The classical Galois theory deals with certain finite algebraic extensions and establishes a bijective order reversing correspondence between the intermediate fields and the subgroups of a group of permutations called the Galois group of the extension. It has been the dream of many mathematicians at the end of the nineteenth century to generalize these results to systems of linear or algebraic PDE and the corresponding finitely generated differential extensions, in order to be able to add the word differential in front of any classical statement. The achievement of the Picard-Vessiot theory by E. Kolchin and coworkers between 1950 and 1970 is now well-known. However, the work of Vessiot on the differential Galois theory (1904), that is on the possibility to extend the classical Galois theory to systems of algebraic PDE and algebraic Lie pseudogroups, namely groups of transformations solutions for systems of algebraic PDE, has also never been acknowledged. His main idea has been to notice that the Galois theory (old and new) is a study of principal homogeneous spaces (PHS) for algebraic groups or pseudogroups described by what he called ”automorphic systems” of PDE. The purpose of this book is first to revisit Gauge Theory and General Relativity in light of the latest developments just described and then to apply the differential Galois theory in order to revisit various domains of mechanics (Shell theory, Chain theory, Frenet-Serret formulas, Hamilton-Jacobi equations). All the results presented are new. the second Main sentence, Anna. Phys. chemistry 22, 578-594 (1907)]. Airy, G.B. : On the Strains in the Interior of Beams, Phil. Trans. Roy. Soc. London, 153, 1863, 49-80 (1863). perfect fluids), MIR, Moscow (1974,1976)]. Beltrami, E.: Osservazioni sulla Nota Precedente, Atti Reale Accad. Naz. Lincei Rend., [Remarks on the Previous Note, Acts Royal Accad. Nat. Lincei Rend.] 5, 141-142 (1892). Birkhoff, G.: Hydrodynamics, Princeton University Press (1954). Bjork, J.E. (1993) Analytic D-Modules and Applications,Kluwer (1993). of the Isolated Particle], Gauthiers-Villars, Pris 1964). Cosmology, Oxford University Press (2015). linear control systems over Ore algebras, Appl. Algebra Engrg. Comm. Comput., 16, 319-376, 2005. Lecture Notes in Control and Inform. Sci., 352, 233-264, 2007. Body Theory, Hermann, Paris, 1909. Hu, S.-T.: Introduction to Homological Algebra, Holden-Day (1968). Math. Soc. Students Texts 5, Cambridge University Press (1990). 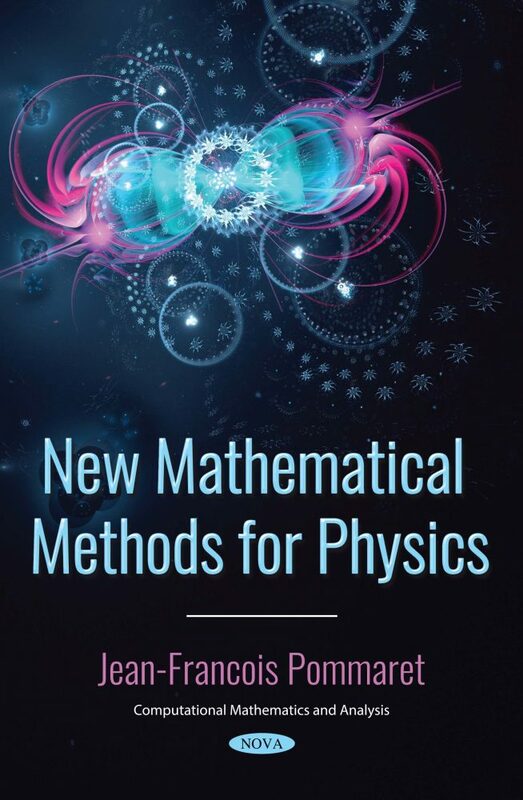 Janet, M.: Sur les Syst`emes aux D´eriv´ees Partielles, Journal de Math. [On Systems at Partial Rivals, Math Journal, 8, 65-151 (1920). Princeton University Press, Princeton (1972). of Electric Phenomenes] C. R. Acad/ Sc. Paris, 82, 1425-1428 (1876). and electrical potential], Ann. Phys. Chem., 23, 994-996 (1907). work], p 54, Prag: Calve (1872). Teaching, 2, Edition], p 330, Leipzig: J.A. Barth (1900). Trans. Roy. Soc. Edinburgh, 26, 1-40 (1870). of Continua, Proc. Kon. Ned. Akad. Wet., 19, 884-891 (1917). Oberst, U.: Multidimensional Constant Linear Systems, Acta Appl. Multidim. Syst. Sign. Process. (MSSP) 26, 389-404 (2013). MIR, Moscow, 1969, (French translation, 1979). Paris, 132 (7) (1901) 369-371. (2005) Chapter 5, pp. 155-223. 1, 1, 2009, pp. 157-174. Revisited, Journal of Modern Physics, 4 (2013) 223-239. Revisited, Journal of Modern Physics, 5 (2014) 157-170.
revisited, Journal of Modern Physics, 7, 699-728 (2016). Congress, Prague, July 4-8, 2005. Schneiders, J.-P.: An Introduction to D-Modules, Bull. Soc. Roy. Sci. Bull. Am. Math. Soc., 75 (1965) 1-114. Wells (1975) (Editura Academiei, Bucuresti, Romania). Weyl, H.: Space, Time, Matter, Springer, 1918, 1958; Dover, 1952.
of Gravitation, Scientia Sinica, XXII, 6, 628-636 (1979). Given Surface], Journal de l’Ecole Polytechnique, 25 (1867) 31-151. Groups, Pacific Journal of Mathematics, 11 (1961) 1205-1210. Bialynicki-Birula, A.: On Galois Theory of Fields with Operators, Amer. J. Math., 84 (1962) 89-109.
in an Euclidean Space], Ann. Soc. Pol. Math., 6 (1927) 1-7. [On the Curvilinear Coordinates of a Space Superfielder], Ann. Math. Pura Applicata, 2 (1868-1869) 101-19. Gauss, K.F. : Disquitiones Generales circa Superficies Curvas, Comm. “Differential geometry and Coninuum mechanics”, Springer, 2015.
ed Applicata, 108 (1976) 251-282.
in an Euclidean Space], Ann. Soc. Pol. Math., 5 (1926) 38-43. (Also “Opere Matematische”, 2 (1901-1907) 395-410). New York, 1988 (590 pp). Theory: New Perspectives for Applications, Kluwer, 1994. Chapter 5, Springer, 2005, 155-223. Lambert Academic Publisher (LAP), Saarbrucken, Germany, 2016. Ritt, J.F. : Differential Algebra, Dover, 1950, 1966. Stewart, I.: Galois Theory, Chapman and Hall, 1973. Sup., 21 (1904) 9-85 (Can be obtained from http://numdam.org). Zariski, O., Samuel, P.: Commutative Algebra, Van Nostrand, 1958.